MOTORHEAD - IRON FIST DELUXE VINYL (LP+DOWNLOAD CODE) | Online Shop | Wizard LTD. Album: "IRON FIST DELUXE VINYL (LP+DOWNLOAD CODE)"
Limited 180gm vinyl LP repressing including digital download. Iron Fist was the fifth studio album by the British band Motörhead. Released on 17 April 1982, it peaked at # 6 on the UK album charts. It was preceded by the release of the title track "Iron Fist" as a single on 3 April, which peaked in the UK singles chart at #29. 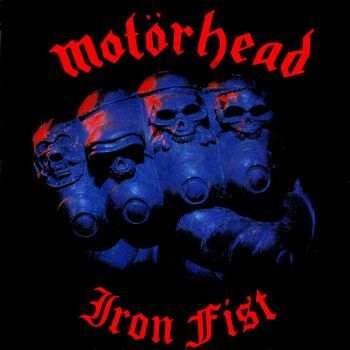 Iron Fist was the final album to be recorded by the Lemmy, "Fast" Eddie Clarke and Phil "Philthy Animal" Taylor line-up. As with previous albums, recording commenced with producer Vic Maile at his Jackson&apos;s Studio in Rickmansworth in 1981. Clarke was unhappy with the Maile produced sessions and decided that the album should be recorded themselves, although Lemmy lamented at the time that "it&apos;s a shame to have lost Vic in a way because I thought it was successful".